Buying a home from a family member can be a smart idea. You probably know the house well, and you likely have memories that attach you to the place. 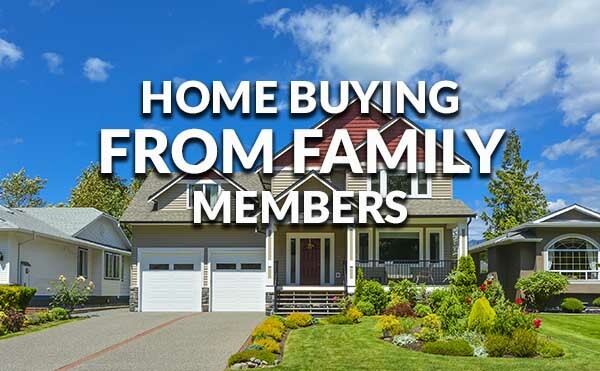 But what are the best and most inexpensive ways to purchase a home from a family member? Doing any money-involved deals with family can be tricky and emotional, and you want to make sure everybody gets the best deal possible. First, you should make sure that your relative selling the home has talked with an accountant or financial consultant about any ramifications of selling the home to you. Here’s what she suggests — If the relative won’t be deceased in the next six months, you should add yourself to the title of the house that the relative is already on. From there, you should refinance the home to pay the family member that you are buying the house from. “It’s a trick we’ve used in the recent years,” she said. Click to see today’s home purchase mortgage rates. Fannie Mae made the process of acquiring a family member’s home much easier earlier this year. At the end of February, they removed the guideline that the person who was acquiring a property must show that they had paid the mortgage for the past 12 months. If there wasn’t a mortgage, they had to prove they paid the property taxes for the last 12 months. But those rules are now gone making it easier to do Moseman’s type of refinancing. In Nevada and other states, it’s very simple to add your name to a title. You go to the recorder’s office with the current owner and a quick claim form. The name is added, and they now are part of the title, she says. With a sale, there are more complications and more costs added on. For example, the closing costs of purchasing a home can add up to quite a lot of money. To get the house Moseman’s way, you must be on the title for at least six months. Then, you can refinance the mortgage that is in the family member’s name and get the relative completely off the mortgage and the title. You would then pay off any of the remaining loan and get cash out to pay the relative for the agreed-upon price of the house. Click to check your home purchase eligibility. Moseman explains that a refinance also allows the new owner to use the relative’s equity immediately. If the house was sold to the new owner and not refinanced, the equity does not transfer to the buyer. “For instance, let’s say the house is worth $500,000, and the elder parent only has $100,000 left in payments. Their son or daughter who has been on the title for six months can use that $400,000 differential as equity. If they buy the house, then the lender doesn’t see that that buyer has equity with the house,” she says. However, not every lender will delve into such a refinance or gifts of equity. Finding the right lender to do the refinance is an important step to take. “It can get very complicated, but it works. You also have to have two people who are agreeable to the transaction. If they don’t trust each other, then they should go through the sale of the property,” she adds. If the relative has already deceased and a few family members are inheriting the home, then it can get even more complex. If you do inherit a home from a relative, you need to do be able to take on any leftover mortgage on it. 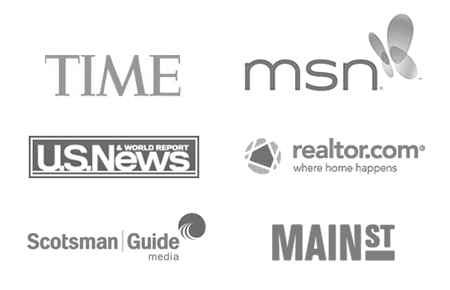 Click here to see today’s home purchase rates.